E-sports betting website Arcanebet opened its gates at the start of 2017. The site has a laser focus on e-sports betting similar to EGB and GGBET, and they offer a great betting selection. It is evident that Arcanebet is taking e-sports betting seriously. 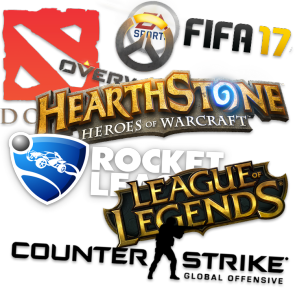 They offer a professional platform where you pretty much can play on all available games in e-sports. At Arcanebet, you get a 100% bonus up to 1,000 SEK on your first deposit as a new player when using the code FRAGBET. You register here. The bonus has an x12 wagering requirement. No minimum requirement for odds levels. You cannot use another bonus in combination with the welcome bonus. The bonus has to be wagered in 180 days. 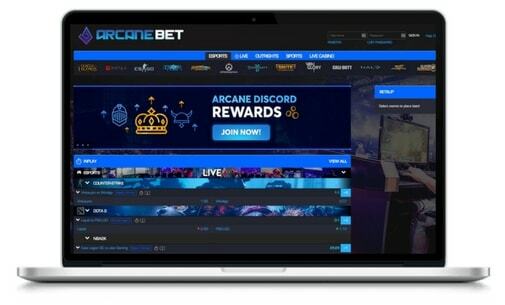 Arcanebet launched their site in February 2017, making them an up-and-comer on the e-sports betting scene. Considering how new the company is, there is no great history to speak of, but it has become evident that they are putting a great effort into creating a great betting site. Those behind the platform has been in e-sports for quite some time, and they have a stake in contributing to the growth of e-sports. Galaxy 88 Ltd is the company behind the site, and they can be found on the address: 3 Rotterdam Drive, e14 3ja, London, United Kingdom. They have a gambling license from Curacao egaming, license number #365/JAZ. Livebetting is offered on most games. However, for live betting to be available, there needs to be a demand for it. For bigger tournaments, you can be sure to find live betting options. For games and matches in lower demand, there might not be enough interest to warrant live betting. The games that are available for live betting are based on demand. When logging into the website on your mobile device, you immediately arrive at their mobile friendly version. You get a clear and easy to understand overview of all options, and in our opinion, they do just as great a job delivering a solid user experience on a mobile device as on desktop. If you are interested in checking out how the mobile version is built, even if you are not on a mobile device currently, you can scroll all the way down and click on the link for the mobile version. When opening a betting account, you are as usual required to submit personal information, such as a national identification number, name, and address. This is not for them to send you e-mails, rather it is a security measure for users and to enable the company to keep track of users so that no one can register multiple accounts using the same address or fake names. The site is also encrypted with SSL and has secure payment methods, ensuring that people can feel safe making deposits and withdrawals. Arcanebet does a great job making players feel important. Support answers questions within 24 hours, and if that is not enough you can always get in touch via chat to get immediate help if a problem should arise. Support via chat in the lower right corner. Arcanebet provides almost all payment solutions you might want to use. Again, their focus has been on delivering a great user experience and to make sure that you can start betting as soon as possible. For withdrawals, you might need to verify that you are the owner of the betting account by sending them a copy of your ID documentation, or proof of residence. This is a standard procedure to verify that the withdrawal is sent to the right person and to avoid that the platform is used to launder money or similar activities. 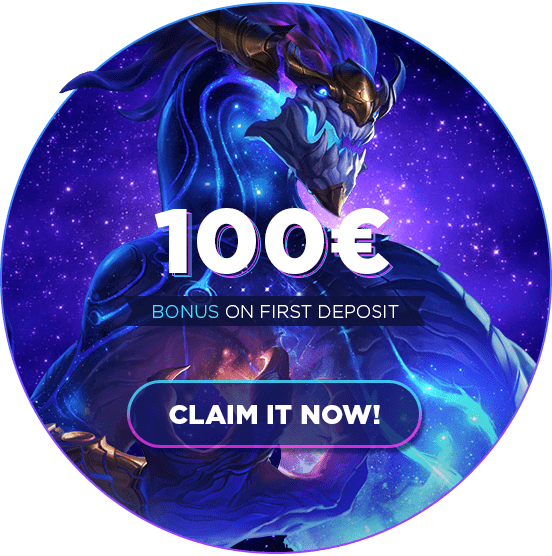 You can also make deposits using Skin pay, a big advantage for people who own a lot of skins. Arcanebet is one of our new favorites in terms of e-sports betting. They offer great bonuses, support, and one of the widest ranges of betting alternatives on the market, all on a really nice looking website. When opening a betting account, you also get a juicy 100% deposit bonus up to 1,000 SEK when using the code “FRAGBET“.